- All packages give a value-for-money experience. 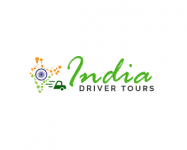 India Driver Tours is a leading tour and travel agency in Delhi offers India private tours, customized tours, Rajasthan tours, same day tours from Delhi and car rental service in India with driver. Our aim is to make your tour easy and memorable with our exclusive service and to positively campaign for a good, healthy and enjoyable holiday to all our customers. Our agency offer cultural Tours, Agra Day tours, North India Tours and Golden Triangle tour, Rajasthan tours and all kind of Transportation, Taxi Services, Car rental, etc.